We can make your titanium jewelry any color you want! 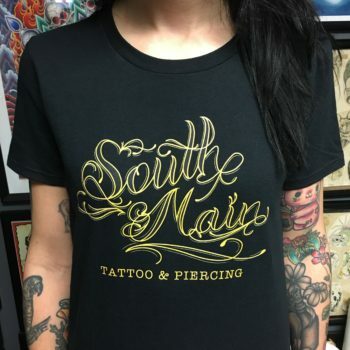 South Main Tattoo T-shirts are in, just in time for the Holidays! M-XL. Come in to get the most sought after gift this Holiday season for loved ones and for anyone, even if you don’t like them, we don’t mind! Just $15! !